Miami’s Dr. Andres de Cardenas and his staff of caring, concerned professionals know when you walk into our office you’re an individual who wants options when it comes to maintaining your good dental health. One option you have to maintaining your good dental health and to help protect your teeth from the damage caused by plaque and tartar are Dental Sealants in Miami. 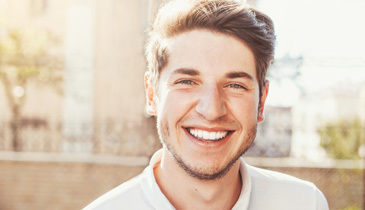 Tooth Sealants are a thin plastic coating painted onto teeth, typically the back teeth (molars and premolars) in order to protect these teeth from plaque and food particles. The sealant rapidly bonds to the enamel of the tooth forming a protective covering. The Tooth Sealants protects those areas of the tooth that normal brushing and flossing do not. Sealants applied by Dr. de Cardenas add an extra layer of protection to your teeth, reducing the chances of cavities. The Dental Sealants in Miami used by Dr. de Cardenas can last up to 10 years. However, periodic inspections of the sealant are necessary to make sure there’s no wearing or chipping of the seal. Dr. de Cardenas notes that these inspections can be a part of your regular dental check-up. Want to prevent tooth decay instead of react to it? Miami’s Dr. Andres de Cardenas invites you to find out if a dental sealant treatment is right for you. You can contact us using our convenient email form and we’ll get right back to you, or simply call us at (305) 251.3334. Ask Dr. de Cardenas about how dental sealant can be a part of your preventative, dental care. Contact Dr. de Cardenas today and experience the difference between being treated as a patient, and being a treated as a part of the family. Dr. de Cardenas specializes in Cosmetic, General, and Family Dentistry and his practice is located in Palmetto Bay, FL, a suburb of Miami. Patients from the surrounding cities and areas: The Greater Miami Area including Palmetto Bay, Richmond Heights, West Perrine, Perrine, Pinecrest, Kendall, Miami-Dade, FL can conveniently schedule an appointment with our Palmetto Bay, FL office. This website does not contain medical advice and the use of this website does not create a doctor/patient relationship between you and Dr. de Cardenas. The photographs of models displayed on the headings and borders of this web site are for decorative purposes only. See before & after photos of Dr. de Cardenas' patients for possible results. Site powered by GOA-TECHNOLOGY with copyrights reserved to Dr. de Cardenas © 2019 Andres de Cardenas, DMD - All Rights Reserved.